Beginning of state route 60 (old US-60) in Banning. The old road split into US-60 and US-70/99 here. 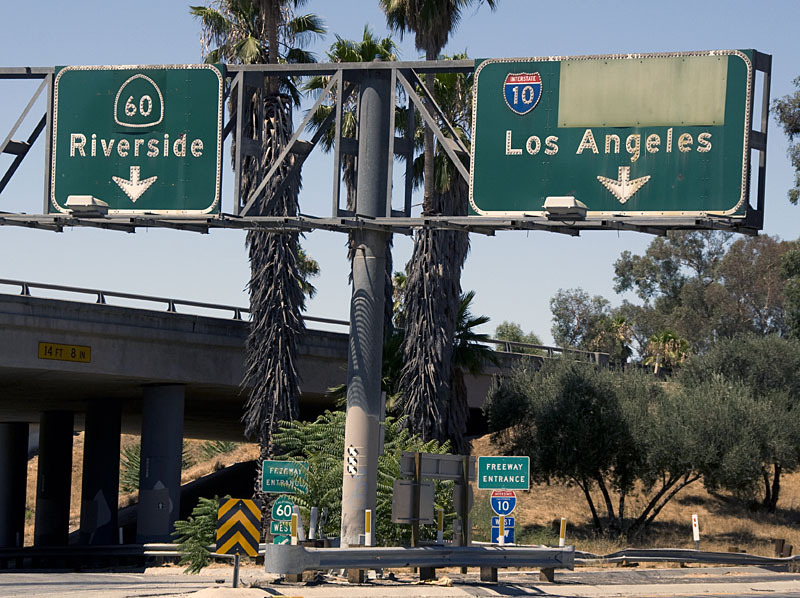 US-60 was upgraded to a freeway in 1952, and US-70/99 in 1960, when it was cosigned as I-10. 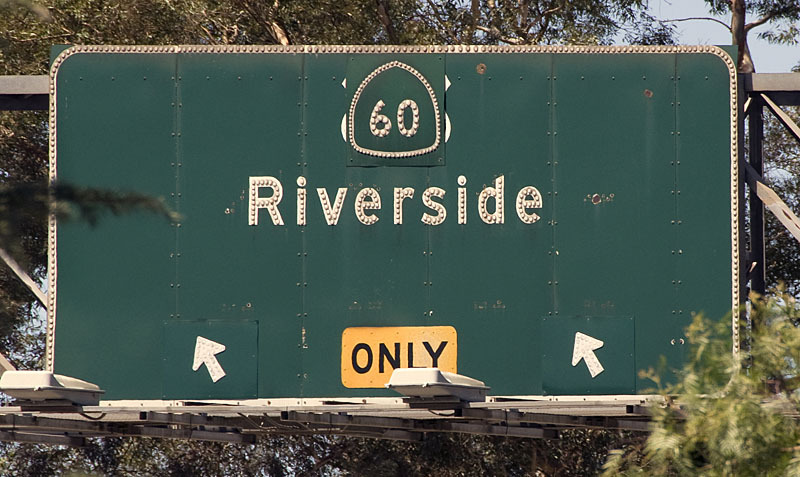 All the guide signs date to 1960, and were patched over in 1964. One of the patches is too small and reveals the old US-60 designation. Photo by Daniel Brim, 8/25/2009.